The San Domenico theatre department creates a safe environment for a student onstage through instruction in acting technique, dance, physical training, improvisation, theater history, classical conventions, literary criticism, technical theater, character development, public speaking, writing for stage and screen, musical theater, voice and diction, directing, stage combat, and audition technique. 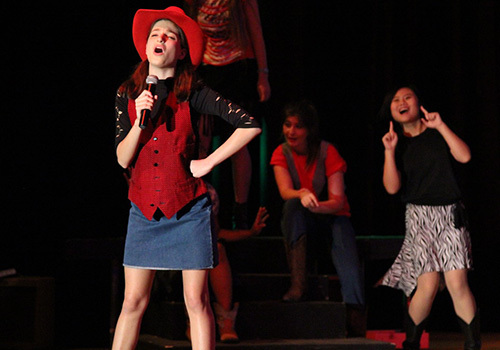 "The theatre program is my favorite thing about San Domenico. I've truly had the time of my life!" —Cailin D. (Class of '12) "I've been in plays since I was six, but never have I been involved with such a creative, professional, and dedicated group of thespians as I have been at San Domenico. I find a new family with every play I'm cast in." —Portia H. (Class of '12) "Theatre at San Domenico was one of the best experiences in my life." —Maloli L. (Class of '12) Through collaboration and strenuous personal work, Theatre Arts students are encouraged to take the healthy risks that help them to expand as artists and as individuals. 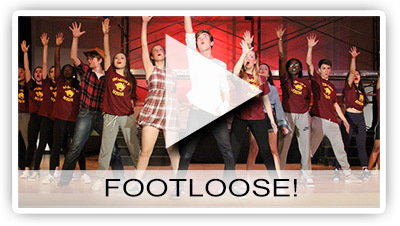 A conservatory-level curriculum spans every aspect of acting and stage crafts, and serves the full spectrum of students' interests and talents. 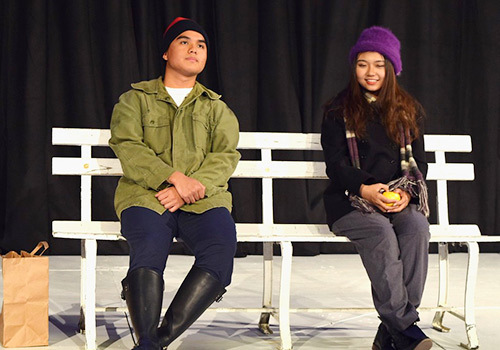 San Domenico's Theatre Arts program stages a minimum of five productions every academic year. 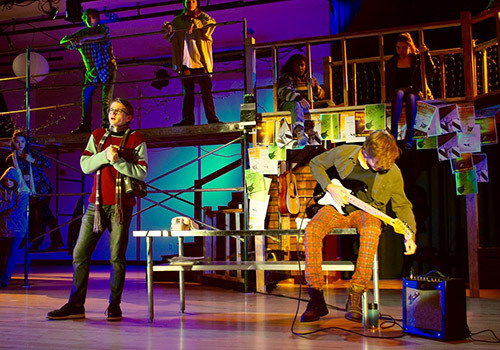 Participation in classical and modern drama, musical theater, comedy, student-directed one-acts, and student-written plays are some of the ways in which students can experiment with a range of roles so critical to their development as artists. The Theatre Arts program sponsors Master Classes in which students work with guest actors and directors from the San Francisco Bay Area and venues such as the Oregon Shakespeare Festival in Ashland. There are frequent field trips during the school year to professional theater venues like A.C.T., Berkeley Repertory Theatre, California Shakespeare Festival, and the San Francisco Shakespeare Festival. When school is not in session, San Domenico School offers its students as many opportunities to pursue their passion off-campus as it does during the academic year such as traveling to New York to see plays and participate in acting workshops.